Derby weekend is almost here and the post positions have been drawn. The 141st Run For The Roses is scheduled this Saturday, May 2nd at Churchill Downs at 6:34pm Eastern (TV: NBC). All eyes will be on the lukewarm favorite American Pharoah (5-2), who has had an amazing sophomore year thus far. It’s scary that he has not yet been used and may have a lot more in store! 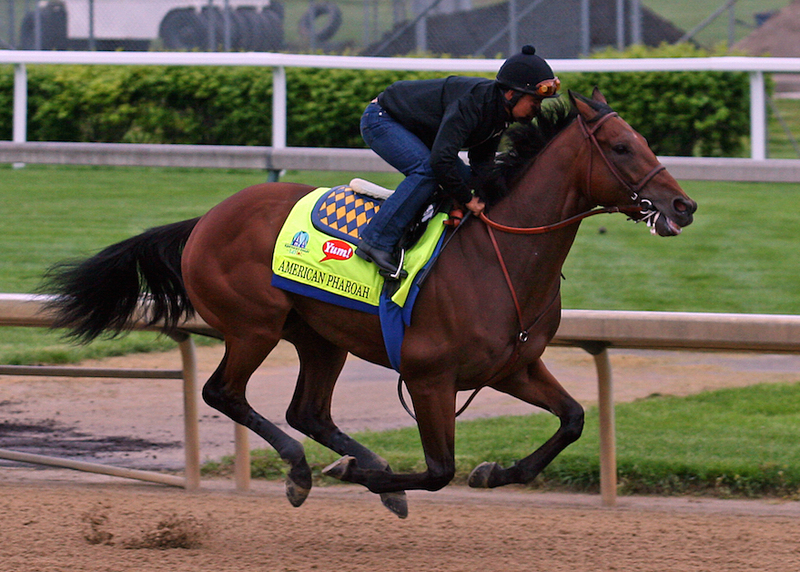 American Pharoah working at Churchill on 4/26. WinningPonies has you covered, as our E-Z Win™ forms for Saturday’s Derby card are NOW available! Sign in, pick up your form and be prepared this weekend! Also, don’t forget to enter our FREE Kentucky Derby Handicapping Contest for a chance to win some cold cash! great…on the free derby contest ‘i’ sent in another list of four horses as el kabeir was a sch. thankyou. bplets, that is fine. Your last contest entry is the one we use.